An award-winning documentary revives Waldheim's presidential campaign and the facts that came to light about his Nazi past. Kurt Waldheim, who was president of Austria from 1986 to 1992, systematically lied about his wartime past. This became the “Waldheim Affair” which was important in exposing the criminal role many Austrians played during the Holocaust. Before being elected president, Waldheim had been secretary general of the United Nations from 1972 to 1981. A recent documentary titled Waldheim’s Waltz (Waldheim’s Walzer) by Jewish Austrian filmmaker Ruth Beckermann, recalls the period of Waldheim's campaign for the presidency. The filmmaker belonged to a small group which publicly protested against Waldheim when he was running for president. This group would grow over time. The film contains much footage from those days, part of which was taken by Beckermann herself with a simple camera. The movie’s premiere took place at the Berlinale Film Festival in February 2018 where it received the award for Best Documentary. It will start showing in Austria this autumn. When Beckermann accepted the award, she said: "There is also a drop of vermouth involved in that something that happened 30 years ago is nowadays so actual." Elsewhere in Berlin, Beckermann said that her documentary was an instructive example of how one can run an electoral campaign with incitement and resentment. The Waldheim affair resulted from the exposure of “omissions” in his 1985 biography in which Waldheim presented his past as that of an Austrian mobilized against his will into the German army. After being wounded on the eastern front in 1941 he returned to Austria. Toward the end of the war he began studying at Vienna University. The WJC continued to release additional information which Waldheim had not mentioned in his biography. He had been an adjutant to the Austrian General Alexander Löhr who after the war was convicted for war crimes against Yugoslav partisans and executed in 1947. Waldheim had also been stationed in Saloniki when the members of the large Jewish community were rounded up and deported almost entirely to their deaths. It was impossible not to notice it. Waldheim repeatedly insisted that he "didn't know about it." During his campaign Waldheim also claimed that he was a target of a large Jewish conspiracy. Waldheim's candidacy for the presidency on behalf of the Austrian People’s Party (ÖVP) was proposed by the party’s leader and Deputy Chancellor Alois Mock who ferociously attacked the WJC. Waldheim was subsequently elected the country’s President. Did the Austrians who voted for him believe in his innocence? Did some of them vote for him because of what they had learned about his past? We will never know. There are many fascinating vignettes in Beckermann’s documentary. She shows a popular discussion during the presidential campaign on Vienna's main square, the Stephansplatz in which a Waldheim supporter shouted 'Jewish pig' at one of the Jewish protestors. The WJC succeeded in making sure this Austrian President was no longer allowed to enter the US. However in 1994 it was leaked that Pope John II had awarded a Papal Knighthood to Waldheim, a Catholic. congressional subcommittee to defend his father's past. Congressman Tom Lantos, a Holocaust survivor, dismembered Gerhard Waldheim’s statements and exposed how he was covering up his father’s lies. WJC officials are also shown as they provide information on Waldheim’s past. The film ends with the election. The WJC campaign had additional consequences. Waldheim was not invited by other Western countries during his presidency. The WJC succeeded in making sure this Austrian President was no longer allowed to enter the US. However in 1994 it was leaked that Pope John II had awarded a Papal Knighthood to Waldheim, a Catholic. In the film there are also pictures of the huge wooden horse created by Alfred Hrdlicka. This sculpture followed Waldheim’s campaign throughout Austria. It was placed in the central Viennese square, the Stephansplatz, on July 8, 1986, the day of Waldheim's inauguration. The sculpture referred to Waldheim’s denial that he had been a member of a Nazi student organization before the war as well as a riding club which belonged to the Nazi paramilitary SA. 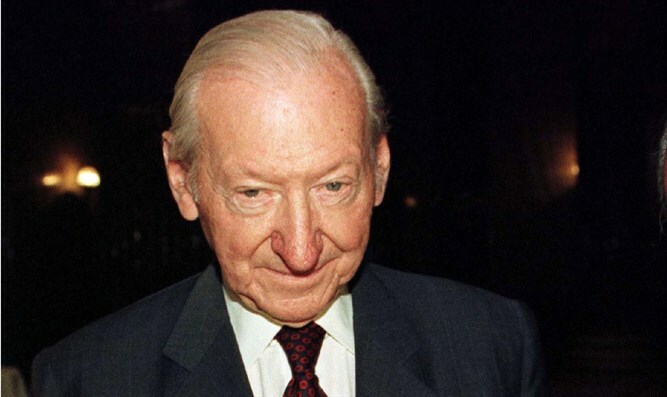 Austrian Chancellor and leader of the socialist party (SPÖ), Fred Sinowatz, said: "We know that Waldheim had not been a member of the SA, only his horse had been." The wooden horse carried an SA cap. The Waldheim affair forced Austria to confront its past far more honestly. The point in history where a turnaround began took place in 1991 when socialist Austrian Chancellor Franz Vranitzky admitted that his country had presented a false image of itself. This was followed by additional admissions in later years by Chancellor Victor Klima as well as Presidents Thomas Klestil and Heinz Fischer. In 2006, Fischer said that Austria’s 1955 Declaration of Independence falsely represented Austria as a victim of the Nazis rather than as a co-perpetrator of crimes. For many years since the Second World War, Austria had presented itself as the first victim of Nazism. This was greatly facilitated by a false statement of the Allied leaders. In 1943, the Moscow Declaration was issued after meetings of the foreign ministers of the United States, the United Kingdom and the Soviet Union. At that meeting Austria was described as the first country to fall victim to the aggression of Nazi Germany. This same deceitful idea was included in the Declaration of the provisional government of Austria on 27th April 1945. 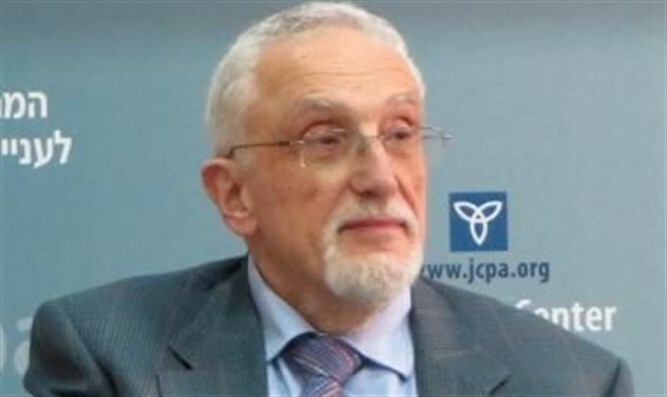 Simon Wiesenthal has claimed that Austrians were involved in killing nearly half of the six million Jews murdered in the Holocaust. After the Anschluss -- the integration of their country into Germany -- Austrians represented 8% of the German population. They however constituted 40% of the staff and 75% of the commanders of the death camps. Austrians were also notoriously over-represented in the SS. The Austrian method of systematically robbing the Jews of all their possessions became a model for the German Nazi government. When current Austrian Chancellor Sebastian Kurz, leader of the ÖVP, visited Israel in June of this year, he also acknowledged his country's criminal past. Kurz’s position is a world apart from many earlier leaders of his party. However, the whitewashers of Austria’s past have not been totally eradicated. One can find many of them in the ÖVP's current junior coalition partner, the Freedom Party of Austria (FPÖ), which had to come out against anti-Semitism in order to join Kurz's government.